When my kids were little, I used to LOVE giving them baths before bed each night using Johnson’s Bedtime Bath Wash. The smell was divine, and it really helped us both get to sleep. Now that they’re grown and too old to use the bedtime bath wash, I’ve been missing the routine. After thinking about it, and trying my hand at making a few different soaps, I decided to try and make a DIY Homemade Lavender Soap. I found several recipes online, but none seemed like what I was really looking for, so I tried a few different combinations of things: some ideas from my other handmade soaps, using some of the supplies I had on hand, and came up with this recipe. It works great for me, so I hope you enjoy it as much as I do 🙂 This lavender soap recipe is quick and simple to assemble, and smells divine! A great homemade Christmas gift idea for the lovely ladies in your life. This DIY Handmade Lavender Soap Recipe is pretty quick and easy, great for beginner soap makers like me! It would make a great homemade gift idea for a birthday, shower gift, Christmas gift, etc. or also be fun to do as a craft night with some friends! The quantity of supplies you need will vary depending on the size of your mold, it just needs to be relational. These measurements are what I used with the mold I have (Silicone Mould for Homemade Craft Soap Mold), but you don’t have to use all of the slots if you want to make smaller batches. What I love most about making my own soaps is that I can control the ingredients and the quantity I make in each batch. I try to make really small batches when I’m experimenting with ingredients so I’m not wasting them. Feel free to adjust, add, or subtract items that don’t work for you. Don’t be intimidated by the quantity of product, it’s just a few ingredients that are pretty versatile and can be used for many other projects. I use the essential oil for many things, including diffusing it, and the dried lavender buds are also great for homemade potpourri! Melt-and-pour soap base (I use this Oatmeal Melt and Pour Soap Base). Lavender essential oil – there are many brands available, a close friend of mine sells this brand, so I tend to purchase from her to support her small business. Dried lavender buds – I can get these locally, but the price is better at Amazon, and this brand works well for me. 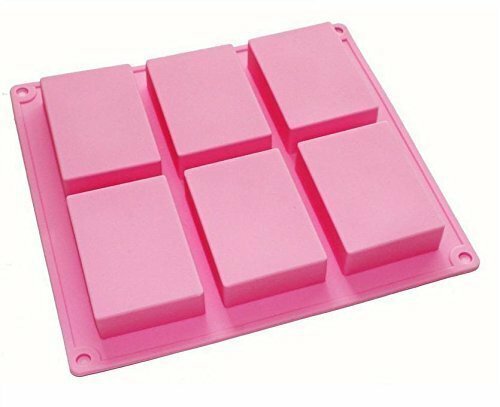 To determine how much melt-and-pour soap base you will need, the easiest method is to weigh out how much water fills your chosen mold to the desired height you would like your soap to be. My mold holds 100g of water per rectangle (3.8 oz). 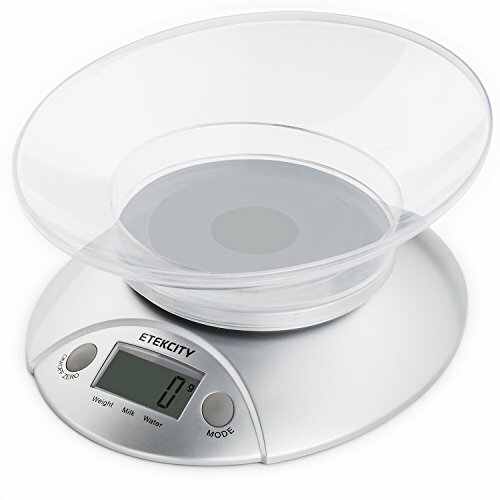 I have a food scale that I use to weigh it out. Once you’ve done it a time or two, you can probably eye it pretty close. Cut off your required amount of soap from the block and chop it into small pieces so it will melt evenly. Meanwhile, grind some lavender for mixing into the soap. Grinding the buds releases the essential oils so it becomes more fragrant, and has additional exfoliating properties. Grind them using a mortar and pestle until they have broken down into pieces, it smells so good! Melt the soap base. Some packages have instructions, the kind pictured above that I prefer to use, does not. I melt mine putting it in a microwave safe bowl, covering it, and running it in 45-second intervals. Next, I add my lavender essential oil and ground lavender buds stirring well. When it’s all combined, just pour into your mold. Finally, you simply allow the soap to harden and set, then remove from the mold. 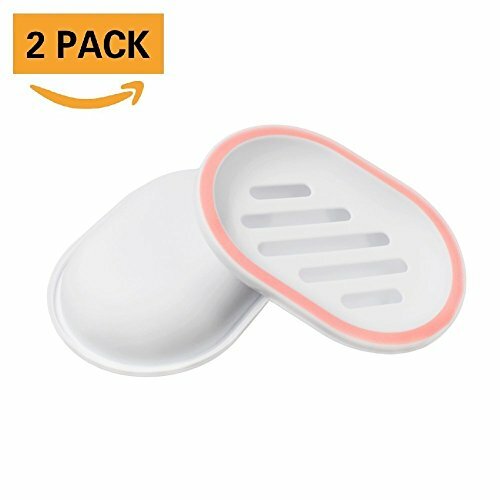 You can package it, if you’re gifting it, or I store mine in a soap container in my shower to use. As an FYI, the linky seems to be for the Love is in the Air giveaway hop, not this It’s Your Love giveaway hop. I was super confused until I figured it out haha. Regardless, thanks for the giveaway!